The sculptures are absolutely amazing. I wouldn’t mind doing some creative gardening, but I’ve just lucky to keep it alive! Beautiful shots. Best kind of animals; cute, but don’t require feeding or cleaning up after. These are so amazing! Makes me (almost) want to do one in my own yard! “The Chlorophyll Zoo” — what a lot of work! I love them. Thanks for the pictures! Too much fun! I have a 4 year old granddaughter who’s quite enamored of Cinderella, too. Must be the age for it. Hi, Tink. 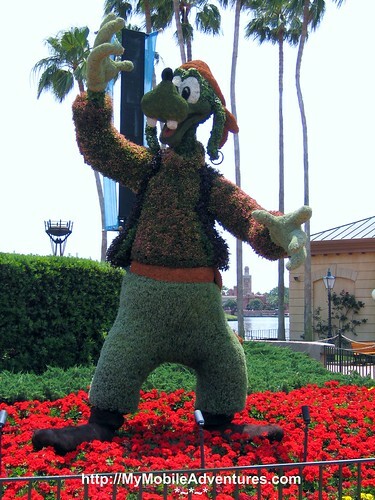 I’m always amazed by the topiaries at Disney. The patience and precision required to shape them impresses me. How fun that your niece will be spending her birthday with Cinderella. My daughter just celebrated her 12th birthday there and she still loves all the fairies and princesses. Thanks for the well wishes…I especially like the “not fart so much” cuz I just love saying “fart”. 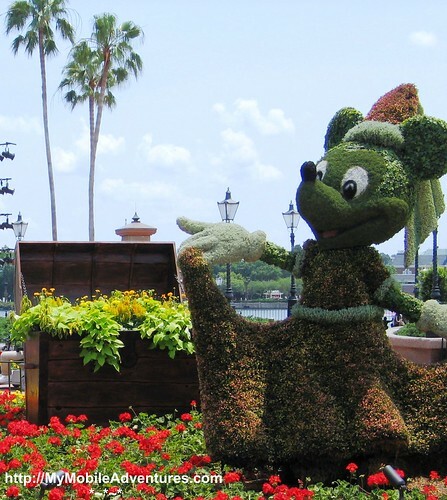 These topiaries are amazing! Such detail! They’re like gigantic, floral, chia pets!! lol Very cool photos. What a delight, and looks so inviting to join and goof around with them. This is a great post very interesting, and well written. You could also have used it for ” Today’s Flowers”. 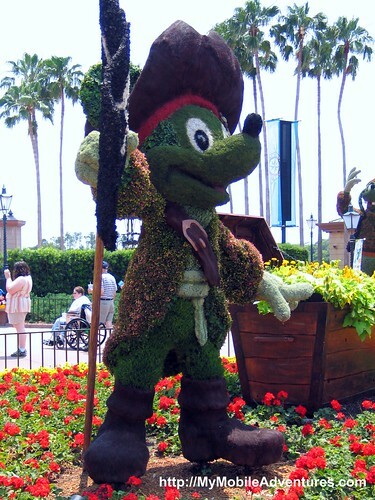 Oh my, those are incrpedible but Disney really knows how to do things to their full effect. Great photos and a very interesting post, thank you! That is amazing! I try to imaging the people working and putting this together! PUH – but it is worth it! Fun pics! wow! awesome, so adorable, very unique and interesting. Thanks for sharing these photos. Wow, soooo cool! Thanks for sharing these photos! Will send a link to my grandchildren in Sweden!! Tink: That certainly is an interesting post for both CC and TF posts. Your captures are excellant. wow! fabulous series of photos, so unique and beautiful flowers..
Great and interesting combination, flowers and childish heros! As always Tink – great shots! That red is vibrant. Wow … these are WONDERFUL! My Today’s Flowers and Camera Critters are both at Small Reflections but in separate posts this week. 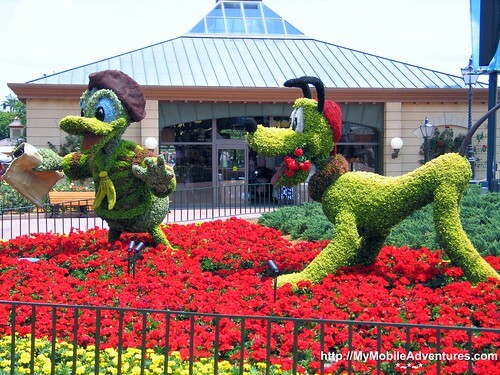 That is amazing horticulture/ architecture/ art. Interesting cc post. Terrific images. Have a great time with your niece – 4 is a great age!! wow those are great. its amazing what can be made out of stuff these days. i bet they take some maintaining!